I LOVE Valentine’s Day! I know…I know…it’s sounds so typical. But really, I do love it. I’m not sure if it’s the love being given and received or the low expectation of the holiday. 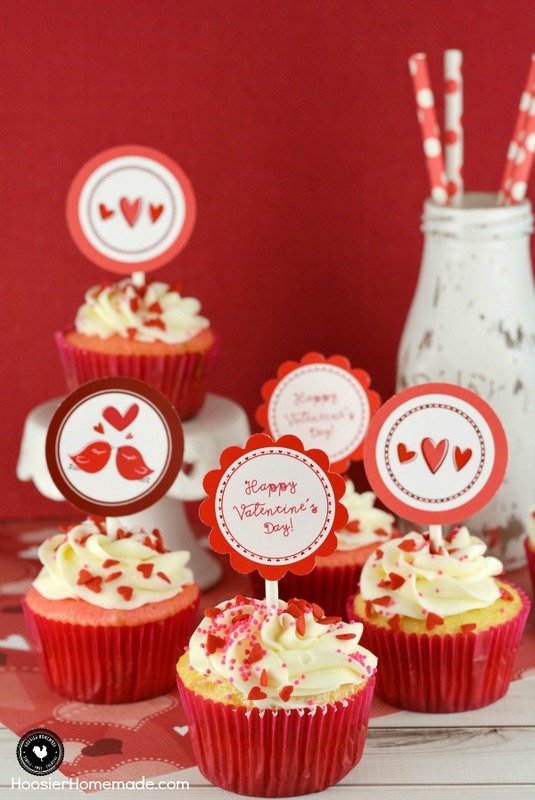 The other thing that I love are these Valentine’s Day Cupcake Toppers. 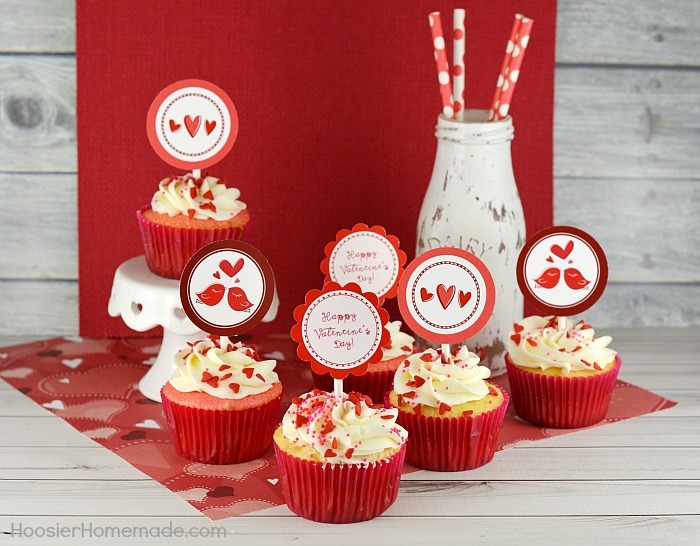 The little love birds are so sweet and the flower shape of the “Happy Valentine’s Day” topper is darling too. 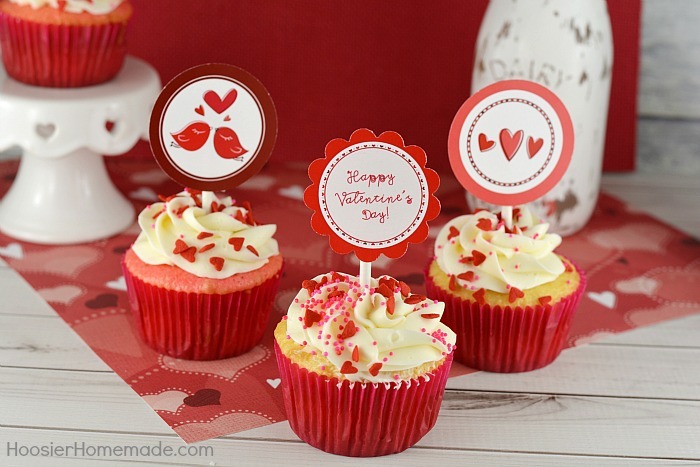 You can use these printable cupcake toppers on cupcakes (of course), but you can also use them on Treat Bags or tags for gifts. Let’s start with the cupcakes – any flavor that you and your family loves is of course fine. 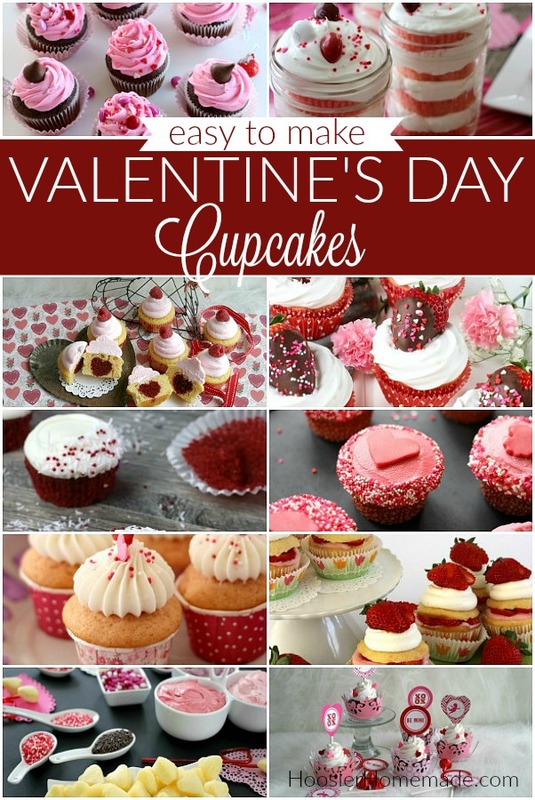 We have lots of different flavors and decorating ideas for you on our Valentine’s Day Cupcake Page. A couple of my favorites are these Chocolate Cupcakes with Strawberry Frosting, Heart Cupcakes where you bake a red heart right in the center of a cupcake and Pink Velvet Cupcakes in a Jar, there is something about serving a cupcake in a fun display like a mason jar that I love. 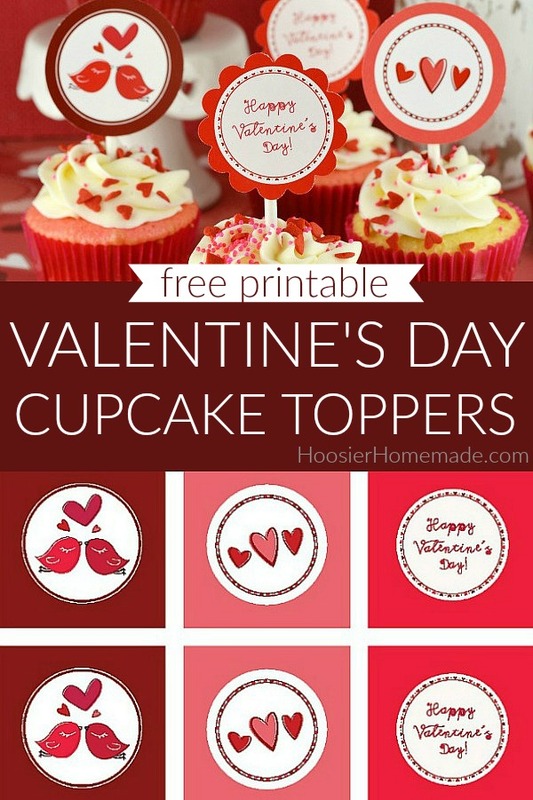 Whether you make the cupcakes from scratch, a box mix or even run to the store and grab some from bakery, adding these Valentine’s Day Cupcake Toppers is super easy. If you want to print them at a local office supply store, then you will need to save them on a flash drive and take it to the store. They will print them for you, usually very reasonable, we typically pay about $1 or $2 per page.